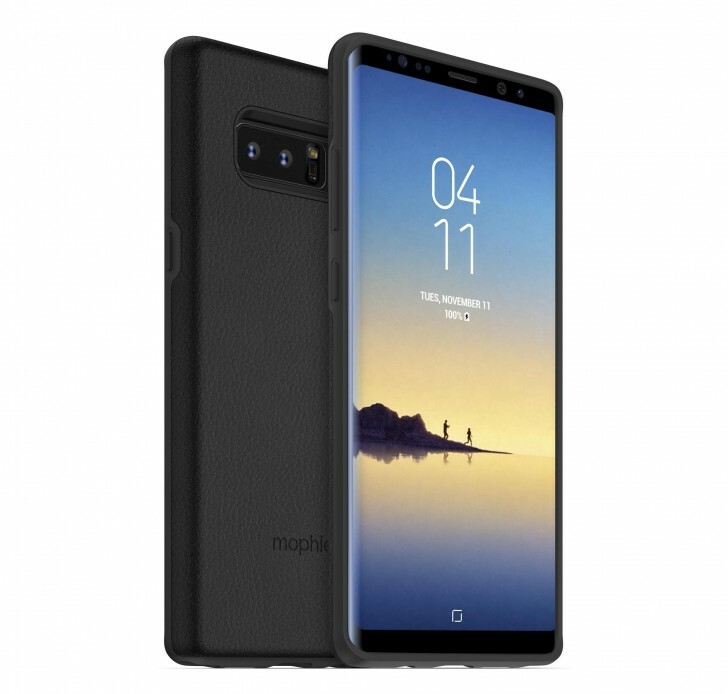 The famous manufacturer of smartphone accessories, Mophie’s just released two new charging cases for the flagship Samsung Galaxy Note8. The Mophie Charge Force Case is a luxury leather case. Even though it doesn’t have an integrated battery, this case will help you to charge your device through the Charge Force technology. It has a USB Type-C port for working with headphones and wired charging. The Charge Force is a famous technology of Mophie that uses powerful magnets. The new cases of the company have magnets at the back to work with different other accessories, like the battery pack for wireless charging, the Charge Force Powerstation Mini. The case is compatible with a rich array of the accessories, such as the Wireless Charging Base, the Desk Mount and the Vent Mount (practical for cars). The second new case for Galaxy Note8 is the Mophie Juice Pack. It features a battery with 2950mAh capacity. According to the company the charging case can assure up to 33 hours of use for the device with one full charge. It works with standard Qi wireless chargers. The case supports the Charge Force tech of Mophie and it is compatible with accessories that are using it. Now about the prices. The leather Mophie Charge Force Case for Galaxy Note8 costs $49.99. The mentioned accessories of the company that are compatible with the case are offered for: Desk Mount costs $59.95, the Charge Powerstation Mini costs $49.95 and the Vent Mount is offered for $59.95. Mophie aims to improve the user experience everywhere and at any time with its variety of accessories. The Mophie Juice Pack Case is offered for $99.95. Both new cases assure high-impact protection with internal rubberized support pads. They provide protection of the device against scratches and cracks. The new cases are available at the official store of the company on the website mophie.com.